If you’re going to mention, in your memoir, that there have been secrets in your past, you have to tell the reader what those secrets were, because the reader will want to know. Hopefully those secrets no longer have to be kept secret. Otherwise, you’d better not write about them. In an article in the Independent, Ruth Rendell is mentioned as having written in her first Barbara Vine novel, A Dark-Adapted Eye: “Secrets, having them, creating them, keeping them and half-keeping them were the breath of life to her.” Ruth Rendell, the article says, has her own secrets although that particular interviewer found her in an unusually talkative mood and she even, though briefly, discussed her childhood. But she didn’t say whether she had to keep secrets as a child. Maybe she did and she was good at it. I hated having to keep secrets as a child. Secrets stopped me from talking – I was so afraid of making a mistake – and that in turn took away my self-confidence. So, while secrets have been a breath of life to Rendell’s character and, it seems, to Rendell herself, for me they have had the opposite effect. How have secrets affected you? I had secrets as a child. Some secrets were small ones and some were secrets that no child should have to keep inside. Once they came out when I was older, I ended up having a mental breakdown because of them. I learned to heal though which is more than I can say for some others who have never dealt with their secrets. I’m glad you got over that problem and hope you solve your current problem. My secrets sound small when I relate them now, but no one told me that at the time! But that doesn’t stop secrets being the life blood of crime writing – so one can begin to see where Ruth Rendell gets her inspiration! Tricky one this. Keeping secrets was part of my life for so long. I’ve learned to let them leak now but in a very limited way. Sometimes keeping secrets is needed and desirable even. Definitely. Perhaps children need to be taught how to handle them. Keeping quiet doesn’t seem a good strategy, in hindsight. I tend to be a pretty good secret keeper, though I also tell folks that if it’s something that no one else really should know about because of the pain it could cause, then it’s best to get it out now before things can fester and get worse. As a child, I can’t recall having to keep any secrets that would be considered “bad” though I’m sure there may be a thing or two my mind stuck off into some forgotten corner of my brain. I think it’s harder for children to keep secrets. It was for me. Nothing was talked about in our house – but really, my parents were blameless and lovely, however, ‘our business’ had to remain ours and wasn’t for discussing. This meant that anyone else’s business, if it was family, was not discussed in front of me and it was only years later I found out all sorts of things about my wider family! We were as open as we could be with our children, everything was discussed and talked about. Secrets are horrible things when you KNOW there is a secret, but don’t know what it is, or aren’t allowed to talk about something. Ooh I do like your A-Z posts 🙂 Thanks for visiting. Most people, particularly females have no secret keeping skills whatsoever. If something is a secret it’s best not to tell anyone…cept maybe your spouse, as most men either forget what you told them or are simply better at keeping their mouth shut. Hmm. I’m not sure I agree with that. 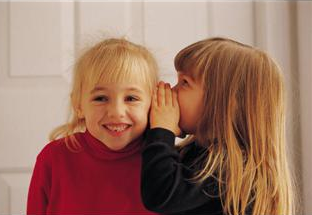 My older sister used to tell me secrets but I couldn’t keep quiet and I’d end up getting in trouble for telling. Not too good with secrets even now! I hope she forgave you! Every once in a while I think about writing a memoir but then I talk myself out of it LOL Someday, hopefully, the idea will stick. When you’re ready to write it, I expect it will stick.